The final, finally, and finalize are one of the three confusing keywords, modifiers and methods in Java. They sound similar but they are for different purpose. For example, the final keyword is a modifier in Java. When you use the final keyword with a class it becomes a final class and no one can extend this e.g. String is final in Java. When you use the final modifier with method than it cannot be overridden in a subclass, and when you use the final keyword with a variable, it becomes a constant i.e. its value cannot be changed once assigned. On the other hand, finally is a keyword related to exception handling in Java. It's often used with try block and it's part of try, catch and finally trio. Also, the finally block can be used with or without catch block in Java and its guaranteed to be always executed, irrespective of what happens inside try block. This is the reason why the finally block is used to do cleanup and free resources. The third one i.e. finalize() is a method in java.lang.Object class and part of Java's garbage collection process. A garbage collector is supposed to call the finalize() method before reclaiming memory from a dead object in Java. Remember, it's supposed to be called but it's not guaranteed hence it's not reliable and thus there is no practical use of finalize() method in Java. This was the basic difference between final, finalize() and finally in Java. If you are interested to learn more about these concepts, you can further check The Complete Java Masterclass course on Udemy to learn more about them, particularly how to use finally block because that's the key piece of error handling in Java. Anyway, let's see some more points to understand their differences better in Java. The difference is given in the first paragraph about final, finally and finalize() method is sufficient from an interview point of view but it's better to know some more differences if you want to impress the interviewer or want to prepare better for follow-up questions. Let's see a couple of more points to learn this concept better. 1) First and foremost, even though their name sounds similar, final, finally and finalize() are completely different from each other. There is no similarity in their function, whatever is, its only on their names. 2) The final keyword can be used with a class, method or variable in Java. A final class is not extensible in Java, a final method cannot be overridden, and a final variable cannot be changed. You can make a class Immutable in Java by using the final keyword. Similarly, you can prevent overriding by using the final keyword with a method and you can declare a static final method to represent constant values. 3) You need either a catch or a finally block with try block in Java. The main advantage of the finally block is that it's guaranteed to be executed even if your try block throws an exception. 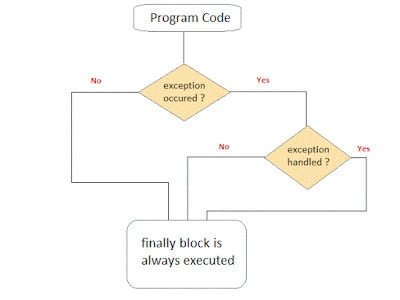 There is only one scenario when finally block doesn't get executed, when JVM crashes or you call System.exit() or Runtime.exit() from the try block. See Java Fundamentals: The Java Language on Pluralsight to learn more when finally block doesn't execute and what happens during JVM crash e.g. whether shutdown hook runs or not. 3.1) A finally block can also override return values, for example, if a try block return 10 and finally block return 20 then method will return 20. Any value returned from the finally block will be used. Even though finally block is guaranteed to be executed, many developers make the mistake of closing streams in finally block without realizing that the close() method itself can throw an exception and can leave other streams opened. 4) Last, the finalize() method is one of the seven methods declared inside java.lang.Object class. As per Java specification its supposed to be called on the object before it gets garbage collected. It is supposed to give last chance to the object to do cleanup or resurrect itself, but the main problem is that it's not guaranteed to be called. Due to this reason, finally block is not useful in Java. Even the great Joshua Bloch's has advised against using finalize method in classic Effective Java book, but this quote from Google coding standard effectively summarize the finalize() method in Java. That's all about the difference between final, finally and finalize in Java. As I said, all three are completely different from each other, only similarities are that their name sounds similar. final is a modifier which can be used with class, method or variable in Java. finally block is used along with try block in Java and finalize() is a method which is called by Garbage collector just before the object is garbage collected.